I don’t know about you, but I love fall. Perhaps it comes from a love of the changing colors of trees and leaves, the pumpkin-flavored and scented items, and the darker colors associated with fall: burnt orange, mustard yellow, burgundy, and forest green. Maybe I just focus on those colors since I’m a brunette with more of an olive complexion, so I tend to favor darker colors, particularly in the fall. Or maybe I just love the idea of being cozy and wrapped up in a sweater, “trapped” in a coffee shop with a good novel or the latest season of ABC’s Castle. A girl can dream, can’t she? Whatever, the reasons, I love the clothing associated with cooler weather. Put me in a cooler climate with a thick pair of jeans, a sweater, an infinity scarf, a pair of leather boots, perhaps a hat and I’m happy. Most of the aforementioned are items in my fall wardrobe that I absolutely can’t go without—and neither should you. I’m a girl who practically lives in jeans. They are always in my drawers, no matter the season. 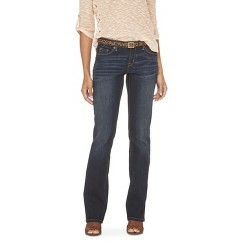 My favorites are either dark-wash skinny or dark-wash boot cut, especially at a great price. I love jeans, particularly in fall, since they not only provide warmth from the colder elements, but they look classic. Whether you need to dress them up or down, jeans in the fall are a go-to item. Darker washes in this season may fit in more with the darker color pallets, but the choice of wash is always up to you. 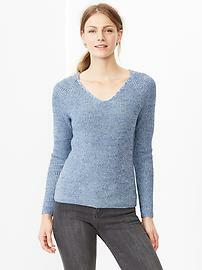 Fall wouldn’t be complete without sweaters. Whether you’re sporting a sweater from your alma mater, a cozy cashmere or acrylic at the office, or a homemade sweater your grandma made for you when she was eighty-four, you’ll be sure to keep warm and look good (unless your grandma has no taste). Where you live, turtlenecks may not be necessary or V-necks might leave you wishing for a warm scarf, but there are plenty of style options and a cozy sweater is always a classic look for colder weather. Why wouldn’t some form of boots be a staple in any woman’s wardrobe? I love leather boots in the fall and winter, usually worn under a pair of jeans (obviously). However, they also look great with tights for when you want to dress up a bit but stay warm. My personal favorites are brown or black leather boots, particularly if they come up to about the knee. A good pair can be an extra measure against the cold. And boots never go out of style. 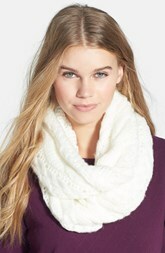 When I first heard of infinity scarves, I’ll admit, I was skeptical. I wasn’t sure how they would look. Once I tried one on, though, I became one of their biggest proponents. Maybe it’s because they can be easily knitted on circular needles (and make wonderful homemade gifts for Christmas), or because my mother can easily knit one in a few days, that I became such a fan. When paired with a great sweater or even a blazer, a light and beautifully colored scarf can make an outfit a little more elegant. I would suggest a cream or ivory color when paired with a dark sweater or jacket, and a charcoal or gray for a lighter color sweater. No matter what you end up choosing for your fall wardrobe, make sure it makes you feel comfy and keeps you warm. Remember, you can stay classically stylish without shivering. But most of all, make sure your clothes make you feel confident and ready to take on any task.